MONTREAL - The head of Quebec's language watchdog agency resigned Friday following a series of controversies that have created embarrassing headlines at home and abroad. The departure of Louise Marchand, president of the Office Quebecois de la langue francaise, was announced by the provincial minister responsible for the agency. Her exit followed a series of news stories that drew considerable ridicule upon the agency — not only in Quebec, and the rest of Canada, but also internationally. 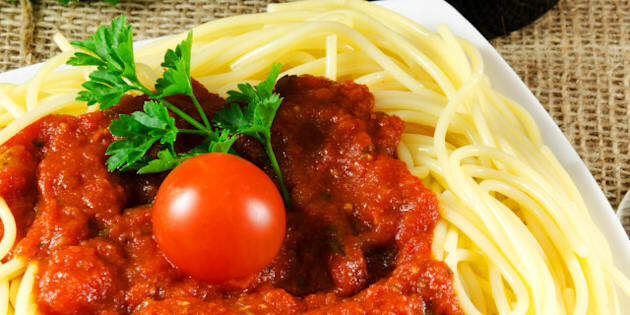 The first such story was about how an Italian restaurant was forced to remove the word "pasta" from its menu, which triggered a flurry of reports in subsequent days about similar experiences at other businesses. "These episodes had an undesired effect on the businesses, the Office personnel, the public, and Quebec in general," said Diane De Courcy, minister responsible for the French language. "Yes, with the pasta thing, we all found that sauce a little bitter. There was that incident but it wasn't just that incident. Above all else, I'd say, the symptom with all these incidents is that our organization, the Office, evidently needs some changes." Such stories have been considered damning enough to the OQLF that some of its more nationalist defenders are even voicing theories of an Anglo plot to discredit the agency. But other OQLF defenders say its inspectors are simply doing the job politicians have asked them to do — which is to vigilantly enforce Quebec's language law. This series of events has created a rare phenomenon in Quebec politics: the Parti Quebecois government has actually been calling on the language watchdog to be less aggressive, not more. It has also led to myriad jokes in newspaper columns and cartoons, and in social media, about a 50-year-old institution that francophone Quebecers have traditionally credited as a cultural safeguard. De Courcy announced several changes to OQLF procedures Friday. One will see the agency create a quality-control post, to keep an eye on any dispute between a business and an agency inspector. There will also be a new procedural guide, among other measures. The language watchdog will need to modernize its approach, said De Courcy, adding that it will have to change its organizational culture to adopt a "customer-service" mindset. "I saw all of these (incidents) as a crisis — a big crisis," she said. "I mean, really! Sixty countries in the world (heard about this) — which didn't make us all very proud, did it? But I also see this as an opportunity (to change things)." She said Marchand left willingly and will be transferred to another government role. Meanwhile, deputy minister Jacques Beauchemin will take over the OQLF on an interim basis during the search for a successor. The so-called "Pastagate" stories are only one language headache for the government. An even more significant problem for the PQ, in the long run, could be its difficulty to get a language bill adopted by the legislature. Bill 14 appears on shaky ground with one opposition party saying it will reject key elements of the legislation. The leader of the Coalition for Quebec's Future says he opposes plans to make French the mandatory language in the workplace for companies with between 25 and 49 employees. He also opposes plans to make it easier revoke the bilingual status of municipalities with dwindling English-speaking populations. Francois Legault told a news conference in Quebec City this morning it is important to strike a balance between promoting French and respecting the rights of Anglophones. The Coalition has 19 seats in the 125-member national assembly and effectively holds the balance of power. The governing Parti Quebecois has 54 seats and the Liberals, who have said they will vote against the language legislation, have 50. The two others are held by the left-wing sovereigntist Quebec solidaire. The PQ made protecting French a key issue during last year's election campaign, saying the language was threatened, particularly in Montreal and western Quebec. One well-known PQ staffer joked on Twitter that the Coalition Avenir Quebec could be called Coalition pour l'Anglais au Quebec (Coalition for English in Quebec). Premier Pauline Marois didn't go quite that far. But she did suggest Legault couldn't be counted on to defend Quebec's francophone culture from existential threats. "He never viewed Quebec linguistic issues as a high priority," Marois said of her former colleague, who served with her in PQ cabinets from 1998 to 2003.